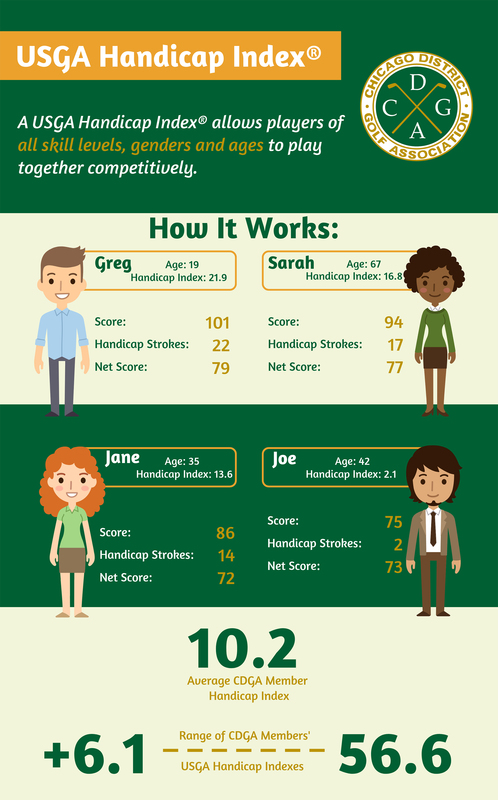 All CDGA members receive an official USGA Handicap Index�, which allows players of all skill levels, genders and ages to play together competitively. With the CDGA being one of 83 officially licensed golf associations by the USGA, CDGA members can post scores in My CDGA Caddie or at a CDGA member club and receive an updated Index on the 1st and 15th of every month. 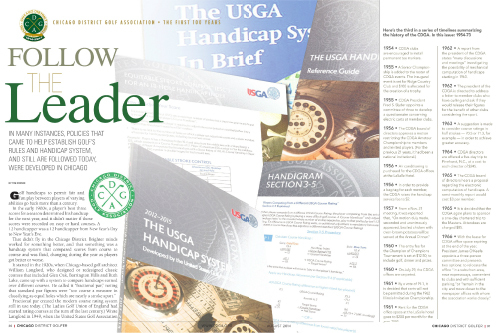 For more information on the USGA Handicap System�, watch the video above, keep reading below, or visit USGA.org. The USGA Handicap Index� underwent many changes before becoming what is today, a process that the CDGA played a large role in. Click above to read a feature about Chicago's impact on the system from Chicago District Golfer.